Whether you’re taking a gap year from college or a mid-life sabbatical, seeing a country from the inside out, rather than through a hotel window, is generally a more rewarding experience. And volunteering in Thailand gives you the opportunity to do just that. It does, however, require some forethought and planning. In this post, I'll cover all the specifics, from volunteering opportunities to avoiding poorly organised programs, and visa requirements. No matter your age or situation, there are many options and plenty of programs. In fact, you'll soon discover that this is essentially a huge industry. While some opportunities require a specific skill set, most are available to those simply able and willing. There are a number of organisations willing to assist interested participants and place them at sites around the Kingdom, like the Friends For Asia Foundation. This organisation is particularly good because they have a long record of successful volunteer placements — over 2,000 participants have gone through their doors. The FFA operates in Thailand, so there are staff on the ground to assist you at all times. There are also a number of Thai staffers who speak perfect English and are willing to act as mediators between volunteers and organisations. Participants are welcomed with a two-day orientation and a plethora of informational materials, as well as an extensive in-country support network. The projects, organisations, and participants are all well-vetted. But do read on, as there's other agencies to consider, and some important things you need to know. 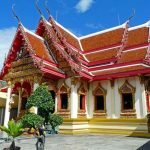 Before you start planning your volunteering stint in Thailand, there are a couple of factors you’ll want to consider, specifically surrounding the agency you book through, and the organisation you’ll be working for. 1. Is the organisation reputable & licensed? Your first port of call is to establish that you are dealing with a licensed company (agency), NGO or registered charity. Most volunteering work is arranged through an agency in your home country. This agency is usually not the host organisation that you will be placed with. These agencies work with partners/clients in various countries, and place you on a program with one of these partners. So first start by vetting the arranging agency. Make sure they are a registered company/other organisation. Establish how long they have been in business. Email or call them to request further information on the agency. See if you can read any reviews on Google Reviews, Trustpilot or any other review service customers may have used. Once you have identified a program you want to work with, do some online research on your host before handing over your money. While not every review, blog post or Facebook status is going to be representative of the experience as a whole, it’s a good place to start and will give you a background to what your time on the job will be like. People tend to post bad experiences online more than they do good ones, so digging around will usually return some dirt. 2. Does the organisation arrange & provide good accommodation? It can be challenging to research and arrange accommodation in a country where you do not speak the language, know the culture, or have a familiarity with the currency. In short, you do not want to have to do this yourself once you land in Thailand. Reputable volunteer programs will provide you with accommodation, and the peace of mind that comes with knowing it is safe, hygienic and fit for purpose. When you do get your lodging information, be sure to research the area and always ask for photos of the room/apartment to ensure that you are going to be staying in a accommodation that meets your expectations. The majority of volunteering opportunities are not paid. Internships often are, but are quite different and usually not as fun. Some volunteer programs might pay a stipend, or your expenses (to a degree), but you'll usually pay for the program upfront, and that should include transport, meals and accommodation. But volunteering shouldn't be a one-way street. You are offering your help in turn for a learning experience. You should expect a diverse learning experience that really teaches you things you didn't previously know about the industry and environment. For example: if you're volunteering on an elephant sanctuary in Thailand, you should come away knowing a heck of a lot about elephants, not just how to shovel dung all day! Establish exactly what the give and take of the relationship is going to be. The last thing you want to be is a dogsbody for the entire time. 4. Does your host offer pre-arrival support? A good agency and host organisation should be on hand to assist you with any questions you have around visas, flights, airport pick-ups, accommodation and anything else that springs to mind. If this is your first visit to the Kingdom, you’ll likely want an organisation that helps you through every step of the process. Of course, you can reference this post, and the rest of this blog, but knowing you have support on the end of the phone – should things go topsy turvy – is a valuable asset. Choose wisely. Plan your trip through a reputable agency/organisation. Global Leadership Adventures offers teenagers the opportunity to get up close and personal with some of the Kingdom’s kindest residents. That’s right, elephants! 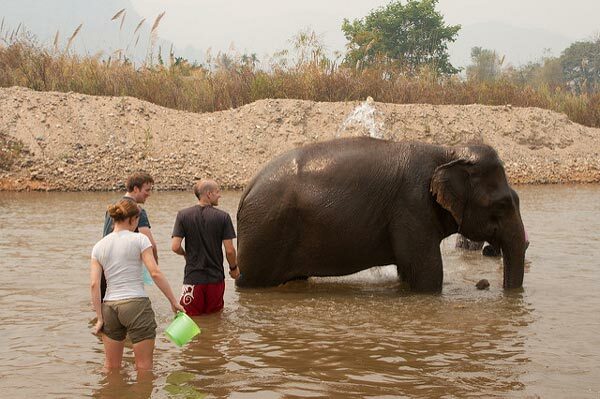 Split your time between caring for these gentle giants and helping Thai children learn English. You'll stay on Thai properties on the premises near Chiang Rai. You'll also be allowed to explore the incredible surroundings of Chiang Rai. Perks like educational materials, three meals a day, in-country transportation, airport transport, staff support and orientation support are all included. Love Volunteers offers a medical internship in Bangkok for $940. 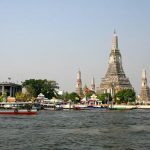 You'll receive a two-week experience, lodging, airport pick up, and a phenomenal experience where they are able to shadow qualified professionals in one of Bangkok’s best hospitals. Interns are placed according to their preference and comfort level, and are encouraged to participate in this once-in-a-lifetime opportunity. Interested in Thailand’s incomparable coasts? Volunteer in Phang Nga with GVI USA. This offers the opportunity to assist with climate and conservation issues, including turtle conservation and environmental education. You’ll work with partner organisations, assist with collecting, charting, and quantifying scientific research, and help meet the short and long-term goals. You’re encouraged to explore the surrounding area and partake in all that the local area has to offer. This program offers 24-hour in country support, airport pick-up, orientation, meals, basic accommodation and knowledgeable staff. Make a difference in women’s lives in Bangkok with Volunteer Thailand. Female communities in Thailand face unique challenges that range from domestic abuse to stigma surrounding single-motherhood. By volunteering to work with, teach, and mentor women’s groups in Bangkok, you’ll be making a big difference in the lives of incredible women and girls of all ages. The program includes pre-departure information, visa paperwork for those programs over 8 weeks long, insurance, airport pick-up, accommodation, breakfast and lunch, orientation, onsite support, 24-hour assistance and a certificate of completion. Why Do I have to Pay to Volunteer in Thailand? While you may feel disgruntled about paying to donate your own time, there’s usually a good reason for those volunteer fees. Most non profit initiatives are constantly in need of an influx of monetary support — charging volunteers makes meeting organizational goals easier. Running these organisations takes an enormous amount of resources, logistics and support. So your money is going to good use, and even better causes. If your program offers training, resources, orientation, in-country assistance, food, accommodation, and transportation, it’s not far fetched to request a participation fee. If it sounds like a lot of money for the amount of time you will be spending there, and considering the level of accommodation and transport, it probably is. Again, I must reiterate: read around and gather the experiences of others. Do your research and compare fees, perks and the percentage of your participation fee that actually goes to the cause at hand. It’s also important to determine if your money is being well spent. Be sure to research charity watchdog sites, which can clue users into dubious practices by non profits and other do-good organisations. It does happen. People make a bad choice and end up having a bad experience. In our minds we envision lush forestry, scenic cities, cheerful people, incredible food and pristine coastlines. We imagine cultural immersion and fun days spent contributing, learning and laughing. We do not envision crying on the phone to mum of a night time, after being rudely spoken to and expected to work like a dog – with no smile to accompany the grind. Will the agency provide project fee breakdowns? I.e. do you know where your money is going? Is what you’re supposed to be doing directly benefiting local people? Are the project goals detailed and transparent? Is the agency or organisation willing to provide testimonials and the contact information of previous volunteers? Are you able to contact the organisation and its staff directly? Is there staff support throughout the entire visa application process, and work permit process once you get there? If you’re doing work that requires a specific skill-set, did the organisation ask for qualifications? If not, this raises a red flag about their efficacy and screening methods. You will need to apply for a visa to volunteer in Thailand. I've lost count of the number of comments I've read from those who say they are “doing volunteer work” but yet have no proper visa or work permit. If a foundation or charity offers you a volunteer position, but does not mention a work permit, avoid them at all costs. This is illegal. You will first need to get the right visa to enter Thailand. Then, once you get to Thailand, the organisation you are volunteering for should arrange your work permit for you. Some may require you to do it yourself, but this is unlikely if you go through a good agency/company (like those listed above in the program opportunities section). To apply for your visa, you’ll need to find a Thai consulate near you, or consult with a service that will obtain a visa on your behalf. If you’ve found a good organisation, they’ll likely have support staff dedicated to helping you with this procedure. Two passport-size photographs (2″x2″) (photocopy or photo taken from Photostat will not be accepted). Photographs must have a light color background with a full- face view of the person without wearing a hat or dark glasses and covering up shoulders. Photos must be taken within 6 months. A copy of recent bank statement ($700 per person and $1,500 per family) (The name of the applicant must indicated clearly) , In case of submitting family bank statement a proof of relationship (i.e. birth certificate, marriage certificate) must be provided. IMPORTANT: Don’t Forget Your Travel Insurance! While this is an unexciting facet of travel, it’s also the most important. You should never step foot on the plane without your travel insurance. For US based volunteers, specifically, there is a special type of insurance through a Volunteer Card. This provides you with a range of coverage levels. The cheapest, is only $25, and you can insure accidental medical expenses of up to $25,000. The most extensive is just twice that amount at $53, and will provide you coverage for $50,000 worth of medical emergency bills. In addition, every card purchased provides a meal for a refugee child. What a win-win situation! I'm sure that your volunteering experience will be the adventure of a lifetime! Just be sure to do your research, and make sure that issues like local initiatives and people’s wellbeing are at the heart of your chosen organization’s mission. Great, I hope one of the options in this post will work for you. All the best with your volunteering.